another three times before I'm finished. 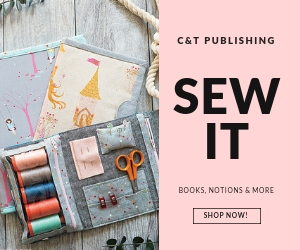 That's the reality facing me when I look at my tablecloth project. Viewed a bit at a time, I can be quite pleased with what I've accomplished. 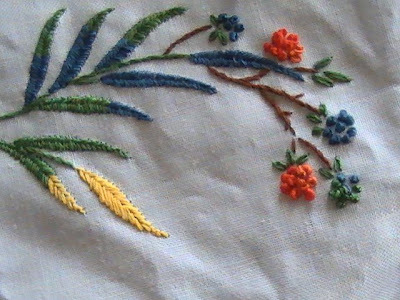 Here's one quarter of the whole design embroidered. 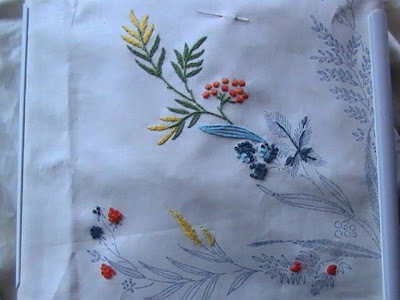 Now here's what I've finished in relation to what I still need to embroider. 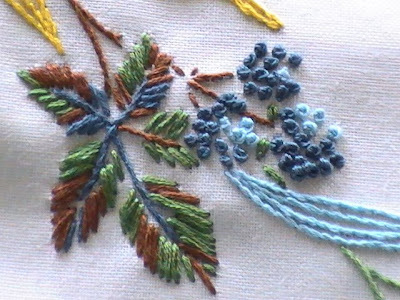 Don't you love the blackberries made from French knots? This is such a relaxing project to have on the go. 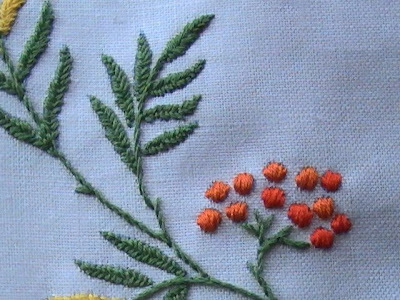 It's a different pace from my machine stitched projects, which is good. I'm always wanting things finished quick, quick; but with this type of work, I'm learning patience can be rewarding. 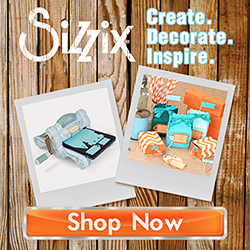 What type of projects do you find most relaxing? 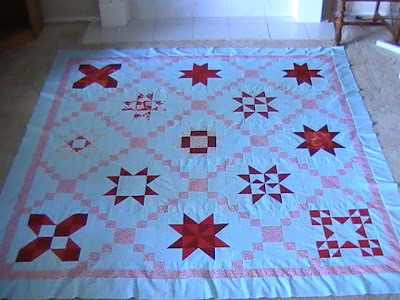 I'm excited to have my quilt top assembled from the Star Quilt along! I had to make one change from Amandajean's instructions. 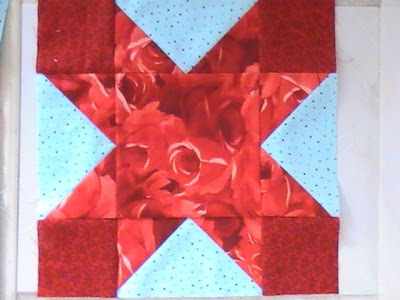 I did not have enough background fabric for the 6 1/2" border, so I added in a second, smaller border using the red/white fabric from the setting blocks. 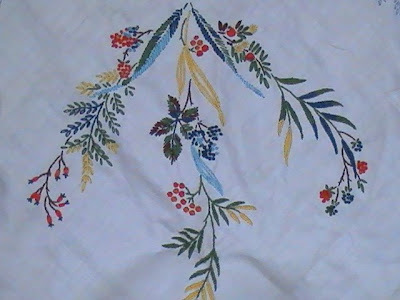 Now I just have to decide on the quilting I will do and then onto the binding! this little beauty begged to be made. 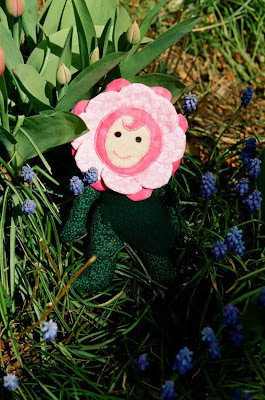 This is my first flower girl doll and she was made as a gift for Roxanne's sweet little girl awhile back. I was happy to hear that she was well received and is lovingly called, "Rosie" by her new owner. I have been slow to post this project because I had taken the photo with my SLR (due to the breakdown of my digital camera at the time) and only recently completed the roll of film and had it developed. I'm thinking I will be making more flower girl dolls in the future, they are just the right size for little hands and should hold up to lots of hugs and cuddles. Many thanks to Amandajean for leading the way in another fabulous quilt along. 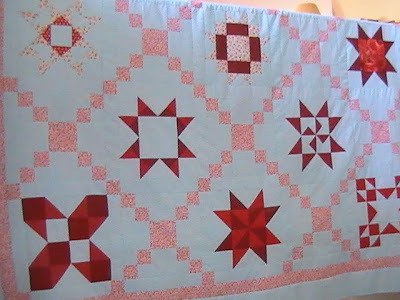 I can't wait to finish this quilt and look forward to seeing what the other participants' quilts will look like. 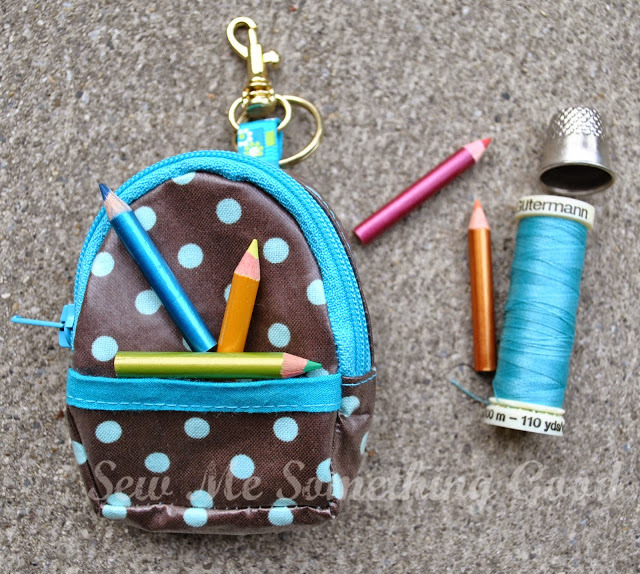 Please go to Dana's blog to enter the giveaway she's having. 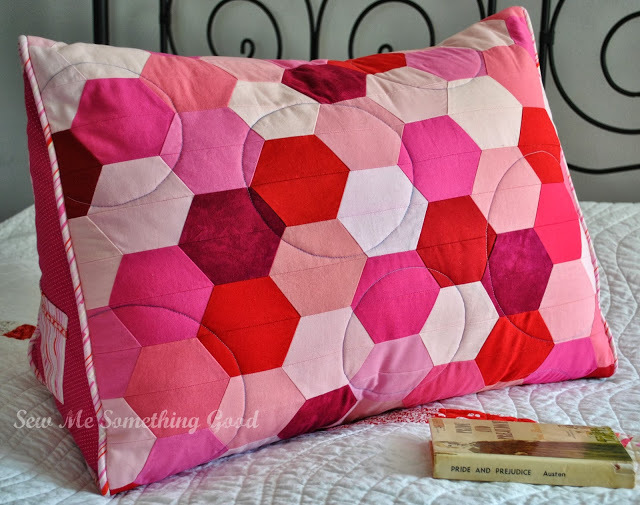 You could win the beautiful quilt she's made or gift certificates to be able to shop in her store. 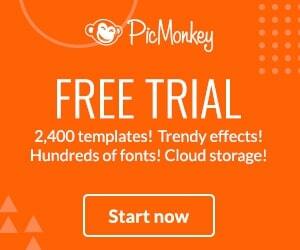 Go quick and enter here. 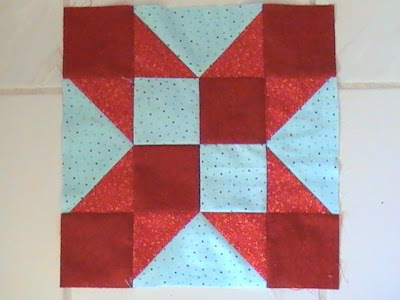 Here's my second to the last block needed for the Star Quilt I've been making in Amandajean's Quilt along. I reversed the colour value in my block from the one she gave as the example. Surprising what that does for the overall look. I've tackled a new project lately. 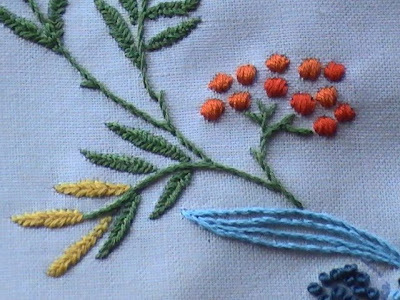 The embroidery kit I found at the thrift store has become my favourite evening project to work on. 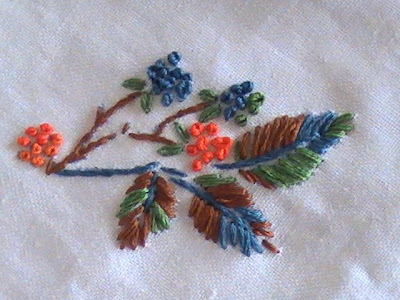 I have never embroidered a tablecloth before but have been enjoying the simple stitches and bright floss colours. I'm making slow, but steady progress. 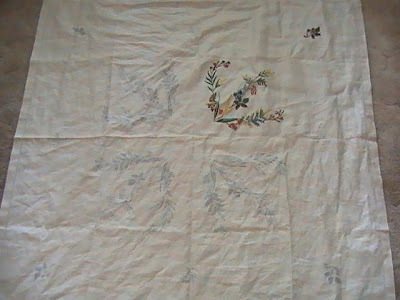 The above photo shows one quarter of the area I'm to embroider. I have a ways to go before I finish! 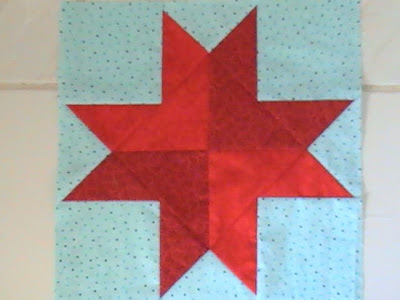 Here's my version of the Amish Star block to add to my Star Quilt. 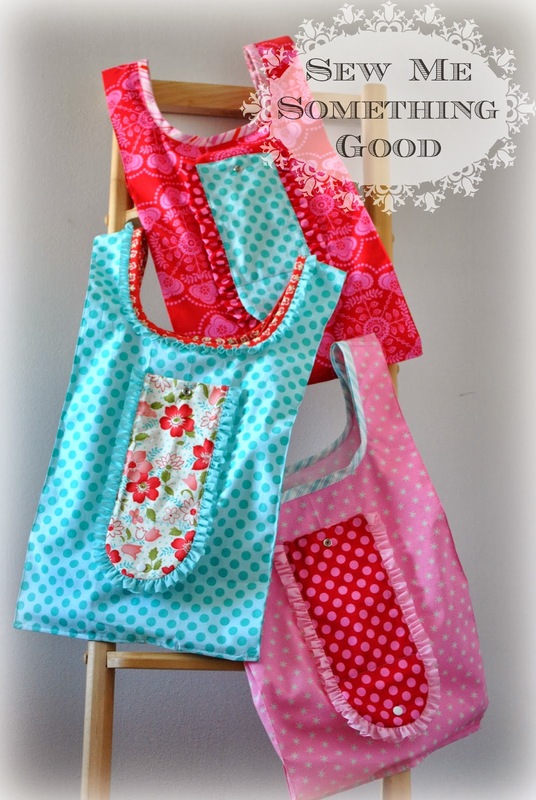 This lovely red fabric came my way thanks to Samantha, a dear friend and "fabricaholic in training". 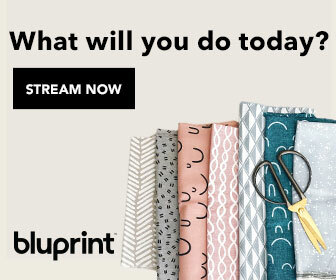 She's catching on in the ways of creating a stash - she now haunts the markdown sections and remnant bins at the fabric stores. 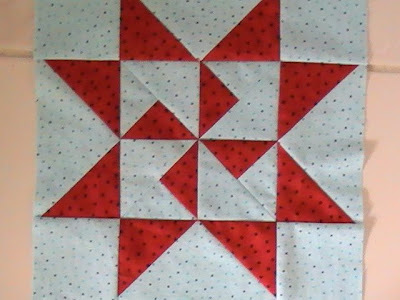 Lucky for me she decided to part with this find because it's the perfect shade of red for my quilt. Thanks, Samantha! 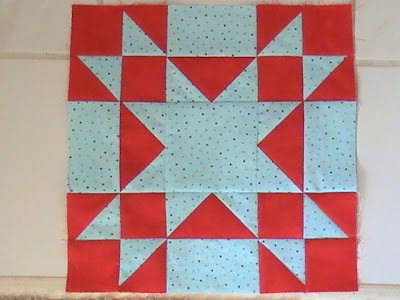 Despite the heatwave here, I've been diligently assembling my blocks for the Star Quilt along. 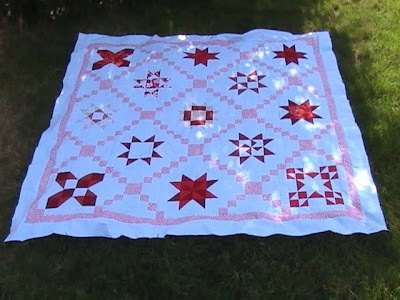 It's so exciting seeing the quilt top come together and I'm staying with it, regardless of the melting temperatures! 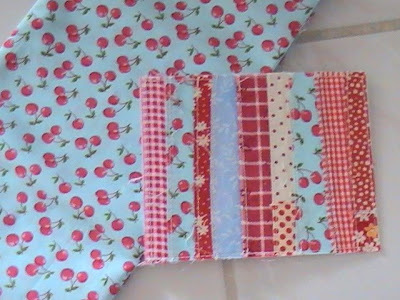 A beautiful handmade fabric card AND a piece of that lovely cherry print fabric that inspired the colours I chose to use in the quilt along! This wonderful surprise came from the very generous and talented Amandajean. A huge thank you to her for making today extra, extra special! and it can provide a good laugh, as was the case when I found this box at the thrift store. I tend to apply the axiom, "never judge a book by its cover" when I'm out thrifting. 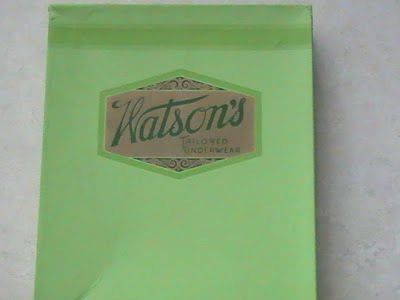 So, despite the labelling, I was curious what lay hidden in this unusual bit of packaging. Ah-ha! 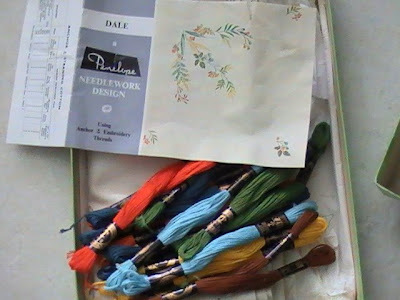 Not one bit of tailored underwear inside, rather the delightful find of a needlework kit. 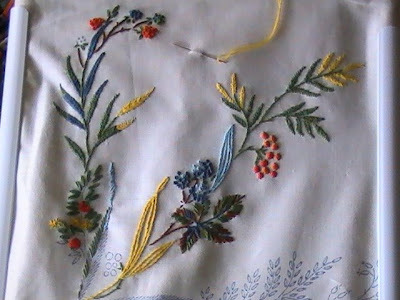 All the necessary components included: floss, tablelinen and pattern!